The WD MyCloud is a pretty single-purpose device. It’s a disk with a network interface, and as with Direct Attached Storage, the MyCloud Network Attached Storage is pretty easy to connect to. First, let’s look at connecting to the web interface via the menu item, where you can drag and drop files to the device. Once the device is configured, use the WD menu item to see your device. From there, click on the name of your device. Alternatively, you could visit mycloud.com and sign into the web interface there. In both cases, you’ll see a list of files and then in the sidebar, you’ll see those options to configure settings, add integrations, view active its, and view photos that are on the device. From here, you can simply drag and drop files into the web page, just like with a box or dropbox account, but the files are stored on the device. Additionally, you can send a link to a file or folder. 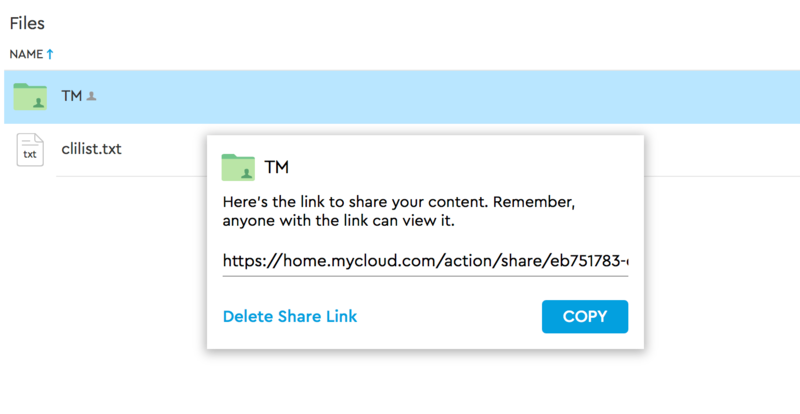 To do so, right-click on the object you wish to share and then click Share Link. At the resulting screen, you’ll see a link. Click Copy to copy the link into your clipboard so you can paste it into an email. You may also want other users to be able to log into your WD MyCloud. To allow them to do so, open Settings and click on Add User. 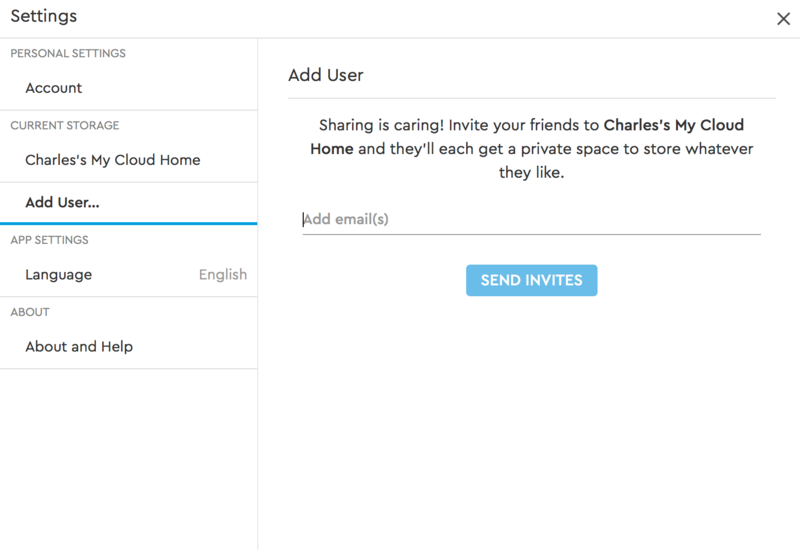 Then provide the email address for the user and click on Send Invites. Finally, you can also mount the drive directly to computers. 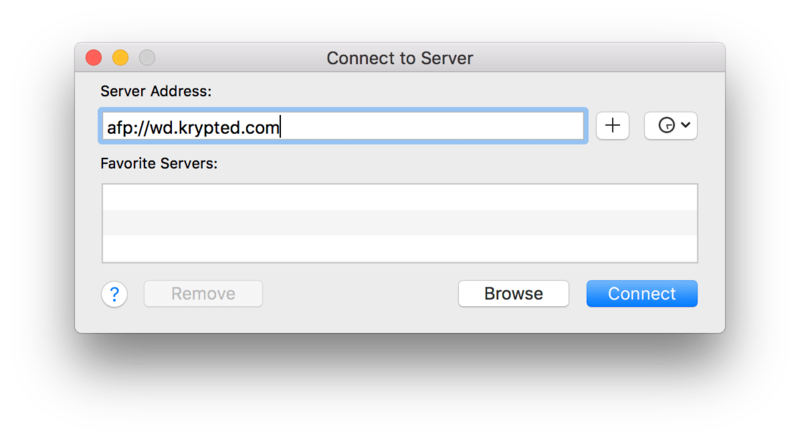 To do so, click on “Connect to Server” (or Command-K) from the Finder. At the Connect to Server screen, enter the address of the server and click Connect. If you don’t know the address and you’re on the local network of the device. Additionally, if you have the menu item installed, you’ll see the device in the sidebar of your Mac. 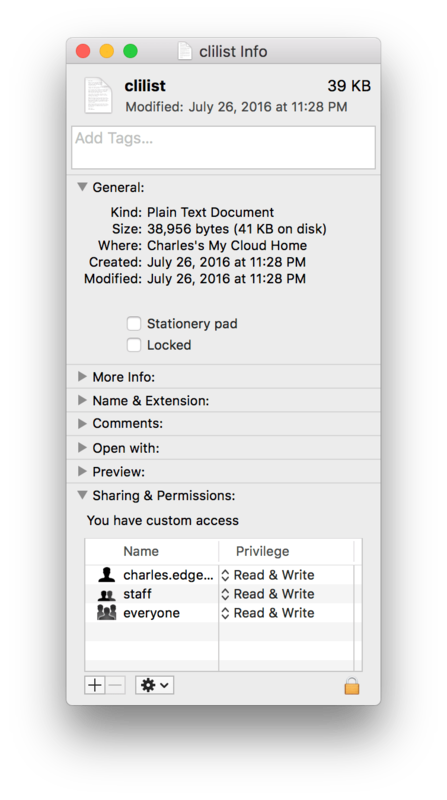 It’s worth noting that with the exception of the ability to share a link to a file or folder, the permissions on the device are pretty much wide open, as you can see below. 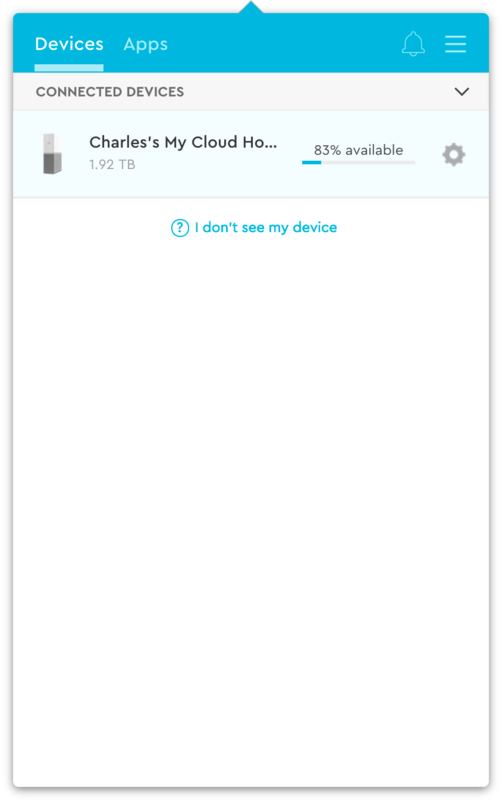 Additionally, any files you bring into the device will end up with the same wide open permissions. And while you can change permissions on files, they’ll revert back. So if you will need more granular capabilities with file permissions, this might not be the device for you. This device is a very inexpensive way to do very small workgroups or home file sharing, but beyond that it could be too basic for a lot of business use cases. What I like about it though, is that it doesn’t pretend to be anything but what it is. And it does that very well, in a very easy-to-use way. Now the MyCloud NAS comes with removable drives and a more robust interface. 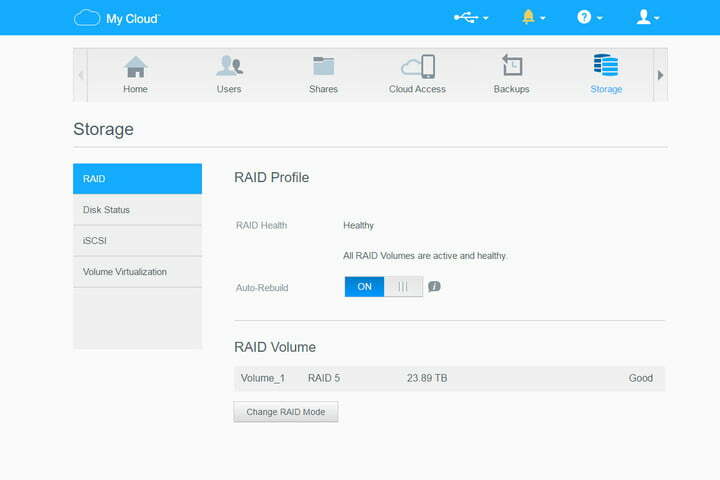 It’s still easy to use, but you can configure RAID levels, basic iSCSI functionality, and users. 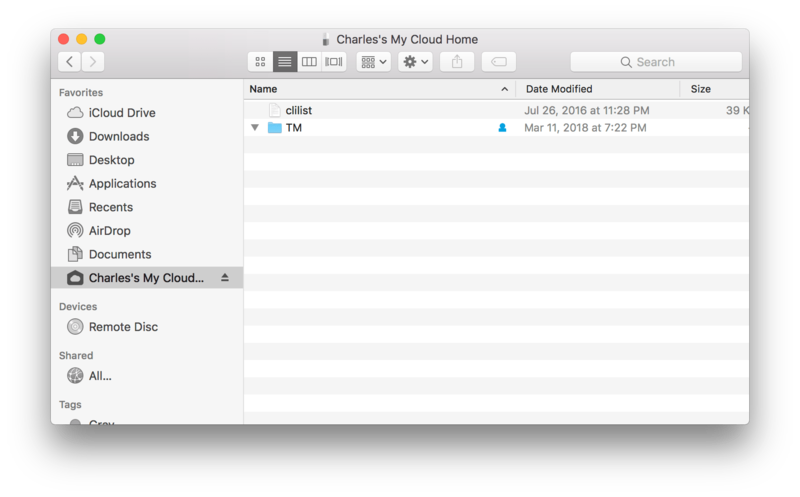 I still wouldn’t put this in front of large workgroups, but to replace a macOS Server for a small business, or as a basic NAS head, it’s a solid, easy-to-manage device.